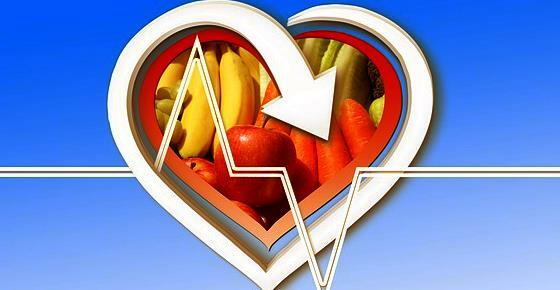 The cardiac diet is a healthy eating plan that includes foods that benefit your heart’s health. Foods that are healthy for your heart are full of nutrients, minerals, fiber, vitamins, and healthy fats. These heart-healthy foods could prevent the buildup of cholesterol and strengthen your cardiovascular health. Following the cardiac diet also means getting enough exercise to keep your heart strong and functioning properly. As well as foods to include on the heart-healthy diet, you should also avoid too much sodium and sugar and keep away from saturated and trans fats. Sticking to the cardiac diet can help you significantly lower your risk of coronary heart disease. In this article, you will learn about the benefits to your heart’s health by following a cardiac diet. You will also find out some beneficial heart healthy meal plans that are recommended by the American Heart Association diet. The cardiac diet is an eating plan that we all should stick to if we want to enjoy good health and prevent excess weight. Let’s look in more detail at the many types of heart-healthy foods that you should include in a cardiac diet menu. If you are following the cardiac diet, you should consume a large number of fruits and vegetables to boost the health of your heart. Vegetables that are very “heart-healthy” include broccoli, spinach, red and orange vegetables, tomatoes, green beans, and carrots. Fruits that are good to include in a cardiac diet plan include bananas, apples, pears, and citrus fruits. Find out more about the benefits to your general health of consuming green leafy vegetables. Protein contains important amino acids that are essential for healthy bones, muscles, skin, and to repair tissue. Nutrients in protein also help to maintain good heart health. When choosing the best type of protein for a cardiac diet, it is important to avoid or reduce the consumption of protein sources that contains saturated fats. Fatty red meat is definitely among the foods to avoid on a cardiac diet. Some good protein sources on the cardiac diet food list include chicken breast, turkey, white fish, salmon, and eggs. Learn more about the many health benefits of eggs and how they can be a healthy source of protein. If your cardiac diet plan is based on a vegetarian or vegan diet, you can learn about great plant-based sources of protein. As part of your cardiac menu diet plan, you should include plenty of whole grains because they are rich in fiber, minerals, and vitamins. Whole grains are found in foods such as whole-wheat bread, wholegrain pasta, brown rice, and grains such as oats, buckwheat, and barley. Whole grains are good for you because they contain complex carbohydrates that can keep you feeling fuller for longer. Find out the benefits of complex carbohydrates if you want to lose weight and keep your heart healthy. One good source of whole grains that promote good heart health is quinoa. An added benefit is that quinoa is gluten-free so is suitable for people with gluten sensitivity. Fats such as extra virgin olive oil and omega-3 are extremely good to keep your cardiovascular system in good working order. It is good to remember that not all fats are equal and that unsaturated fats have a place on the cardiac diet menu. Learn more about the benefits to your cardio health by consuming omega-3 supplements every day. If your heart-healthy diet is based on a vegan or vegetarian diet, you can find out why hemp seed oil is a good alternative to fish oil. One way to help clean out your arteries is to consume more nuts and seeds as part of your heart healthy diet plan. Other nuts that are good for your heart are Brazil nuts, walnuts, and cashew nuts. Some of the best seeds to eat on your cardiac diet menu include chia seeds, pumpkin seeds, flax seeds, and sunflower seeds. You can also find out why you should soak nuts and seeds before eating them. Cardiac diet guidelines also include regularly consuming portions of peas, beans, lentils, and chickpeas to promote a healthy heart. There is also some evidence that consuming moderate amounts of dairy products can be included in the heart-healthy eating plan. Learn more about what kefir is and how this fermented milk drink can help improve your digestion. If you avoid dairy products, there are some great dairy alternatives that can provide you with plenty of calcium. If you are trying to stick to a heart-healthy diet, it is extremely important to avoid foods that are bad for your heart. Let’s look at some examples of a cardiovascular diet menu plan that can help to improve the health of your heart. Oatmeal breakfast. 1 cup of cooked oatmeal with some chopped almonds and a topped with a sliced banana. You can also sprinkle on some cinnamon to taste. Heart-healthy omelet. Make your omelet using one whole egg and the whites of 2 eggs. Mix in some chopped red bell pepper, broccoli, and other vegetables of your choice. Eat with a slice of toasted wholegrain bread with a tablespoon of hummus. Breakfast smoothie. Mix some plain yogurt, a banana, a serving of sunflower seeds, a few walnuts, and some dates for sweetness. Blend well, pour into a glass and sprinkle some cinnamon on the top. Chicken salad. Chop up one cooked skinless chicken breast and mix with fresh vegetables and some greens such as lettuce, kale, or spinach leaves. Add a few slices of avocado. Squeeze some lemon juice and add some extra virgin olive oil. Consume with 2 slices of whole grain bread. Stuffed pita sandwich. Fill a whole-wheat pita bread with some 1/2 mashed avocado mixed with ½ a small can of tuna. Add some of your favorite veggies to the pitas bread and enjoy. Turkey sandwich. Use 2 slices of wholemeal bread and spread 1 tablespoon of hummus on one of the slices. Add some slices of cooked turkey breast, lettuce, tomato, and cucumber. Quinoa bowl. Mix a cup of cooked quinoa with 2 chopped roasted baby beets, chopped shallots, and some crumbled feta cheese. Add some extra virgin olive oil and splash of balsamic vinegar to taste. Salmon. Bake one salmon fillet and add some cooked green beans, toasted walnuts, toasted sunflower seeds, and a mixed green salad. Each with a baked small sweet potato or cooked quinoa. Chicken stir-fry. Heat some olive oil in a wok and stir fry thinly sliced chicken breast, broccoli, green beans, sliced eggplant, and bok choy. Use a mixture of olive oil and lemon juice to taste. Serve with brown rice. With all of the above cardiac diet menus, you can add one serving of fruit and some semi-skimmed milk. As part of your heart healthy diet plan, you should also include healthy snacks throughout the day to prevent pangs of hunger. A handful of mixed, unsalted nuts. A hummus dip with raw carrots, celery, or peppers. Mashed banana spread on a slice of wholegrain bread topped with some peanut butter. Plain yogurt with some chopped berries, walnuts, and 1 teaspoon of raw, organic honey.